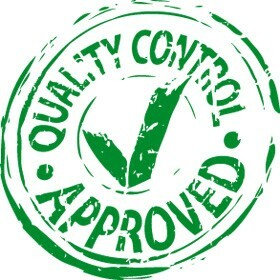 A company that ensures compliance with ISO standards. The packaging represents the factory’s presentation to the consumers. To guarantee the best results the A. De Robertis and Sons SpA didn’t only build a 16.000 m² factory (covered surface) owning “state of the art” machinery but, also in December 1995, attained the certification of its Quality Systems in conformity of the ISO 9002 norms. In 2001 A. 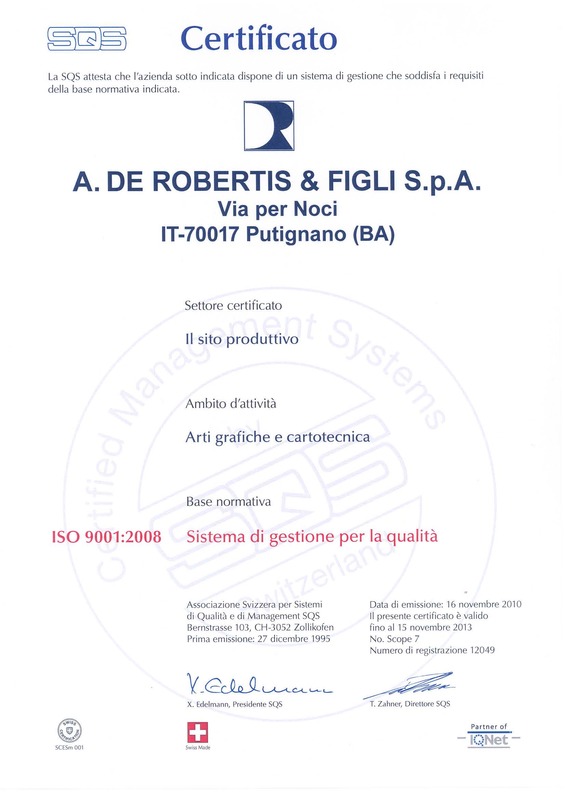 De Robertis updated his Quality System to the new ISO 9001:2000. This important recognition means that the producing process is constantly checked during all its evolution, assuring reliability and guaranteing the quality standard requested by a more and more exigent market. Further component of specialization utilized in search of a constant product’s improvement is the recent preparation of a climatic laboratory provided of precision instruments for raw material’s control. 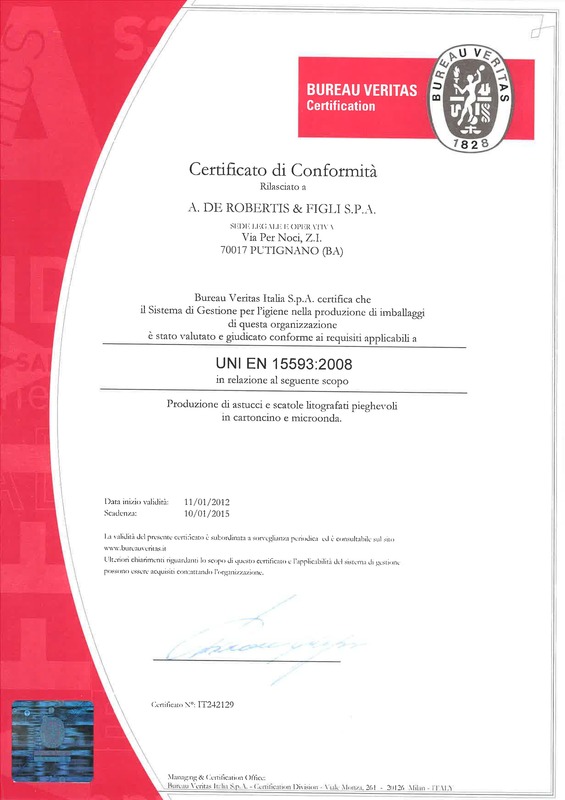 In 2011 it was awarded the certification to UNI EN 15593 “Management of hygiene in the production of food packaging”. 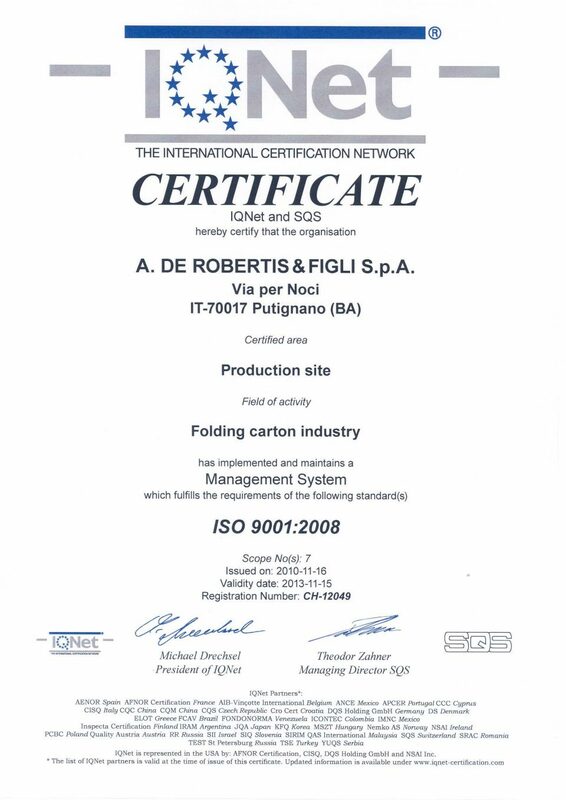 In 2013, it has certified the chain of custody, when required by the customer, cellulose-based products from forests managed responsibly.